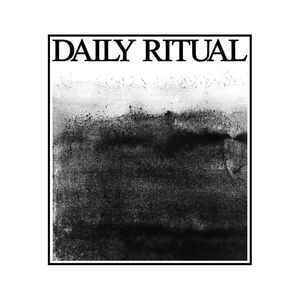 &amp;amp;amp;amp;amp;amp;amp;lt;a href="http://dailyritual.bandcamp.com/album/daily-ritual-s-t"&amp;amp;amp;amp;amp;amp;amp;gt;Daily Ritual S/T by Daily Ritual&amp;amp;amp;amp;amp;amp;amp;lt;/a&amp;amp;amp;amp;amp;amp;amp;gt; This debut self-titled album contains eight songs that have strong Red Dons/The Observer influences. Calling them copy-cats wouldn’t do them justice though. There’s a sense of melody that adds influences from Swedish bands like Masshysteri or Gorilla Angreb. On the eight tracks the bands outs an urgent political message. Unfortunately, with only these eight songs, the album is over before you know it, leaving you hungry for more! Favourite songs are Police state and album closer Surveillance. Recommended stuff!